In 1992 in Reno, Nevada, a group of scholars and writers founded the Association for the Study of Literature and Environment (ASLE) to promote interdisciplinary research and conversation about the connections between humans and the natural world. Comprising professionals in both the humanities and the sciences, ASLE encourages collaboration, supports environmental education, and convenes a community around the twin goals of literary excellence and ecological sustainability. Now, twenty-five years later, the organization is more robust—and necessary—than ever. The intersections of poetry and conservation biology, or speculative fiction and environmental activism, may not seem intuitive. But in the early 1990s many scholars working at the crossroads of these increasingly siloed disciplines sought a way to share ideas and enlist creative, scientific, and ethical advice from specialists in other fields. With the advent of ASLE, members gained access to a directory of multidisciplinary scholars, as well as environmental studies curricula, a list of awards and grants, mentoring programs, and a bibliography of ecological writing, among other resources. In 1993, ASLE launched the semiannual (now quarterly) journal ISLE: Interdisciplinary Studies in Literature and Environment, which publishes academic articles in addition to poetry, nonfiction, and book reviews. ASLE’s quarter-centennial comes at a critical moment. 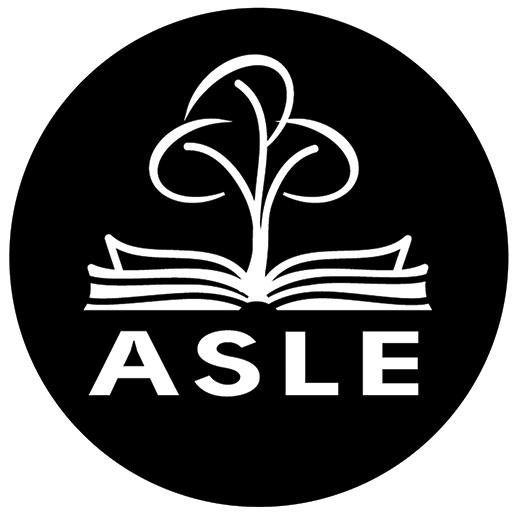 As an organization committed equally to literature and to environmentalism, ASLE and its membership are doubly threatened by the massive rollbacks in arts and climate spending proposed by the Trump administration. The White House’s 2018 budget plan, unveiled in May, would slash funding to the Environmental Protection Agency by nearly a third, eliminating 20 percent of its workforce and leaving the agency with its smallest budget in forty years, adjusting for inflation. Predicated on a staunch denial of the urgent reality of climate change, the plan proposes crippling reductions to programs that clean up toxic waste, determine the safety of drinking water, and research and predict natural disasters, among others. The Trump administration’s proposed 2018 budget would also eliminate the National Endowment for the Arts and National Endowment for the Humanities. Though such cuts seem unlikely at this point—Congress thus far having upheld federal funding for both agencies—the proposal itself is indicative of an attitude that devalues the importance of art and literature to American life and culture. In light of such threats, Irmscher looks to literature for models of political environmentalism. “Panels and presentations on Thoreau’s Walden—to mention one of the intellectual progenitors of ASLE—can no longer ignore the fact that his philosophy of resistance has assumed new importance in an era when the government systematically suppresses scientific evidence,” he says. Maggie Millner teaches creative writing at NYU, where she is pursuing her MFA in poetry. Previously, she served as Poets & Writers Magazine’s Diana and Simon Raab Editorial Fellow.